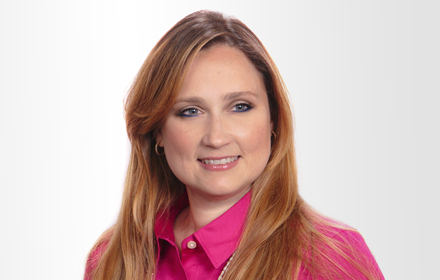 Maralyssa Álvarez-Sánchez is Of Counsel in the San Juan, Puerto Rico, office of Jackson Lewis P.C. She counsels employers on compliance with state and federal employment laws in executing personnel decisions and defends employers in all stages of litigation in discrimination, retaliation, sexual harassment, reasonable accommodation, unjust dismissal and leave-related claims in federal and state judicial and administrative forums. Ms. Álvarez-Sánchez has successfully defended claims against employers before the Puerto Rico Courts of First Instance and Appeals and the Puerto Rico Supreme Court as well as obtained favorable dismissal for employers of federal discrimination, harassment and retaliation claims before the U.S. District Court and the U.S. Court of Appeals for the First Circuit. Ms. Álvarez-Sánchez also provides counseling to clients on employment matters related to the establishment of operations in Puerto Rico as well as the administration of health and welfare benefit plans and compliance with ERISA and COBRA. She has participated in the negotiation of collective bargaining agreements and has counseled companies as to the implementation of labor-relations policies and represented management in unfair labor practice charges and representation cases before the NLRB. Ms. Álvarez-Sánchez worked as a programmer analyst in the information technology consulting industry in Chicago before obtaining her law degree. Prior to joining Jackson Lewis, she was a Partner at a prominent full-service law firm in San Juan, where she devoted her practice exclusively to the representation of employers in labor and employment law matters. Puerto Rico - D. P.R. Maralyssa Álvarez-Sánchez and K. Joy Chin Author "Puerto Rico Passes Pay Equity Law"